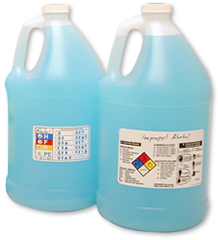 In order to ensure safety in the workplace, the Occupation Safety & Health Administration (OSHA) requires that all employers with hazardous chemicals in their workplace must ensure that workers are trained appropriately, and that all chemicals should be clearly marked with HazCom Labels (RTK Labels). Make sure that your facility adheres to regulations, and keep your workers safe from danger. 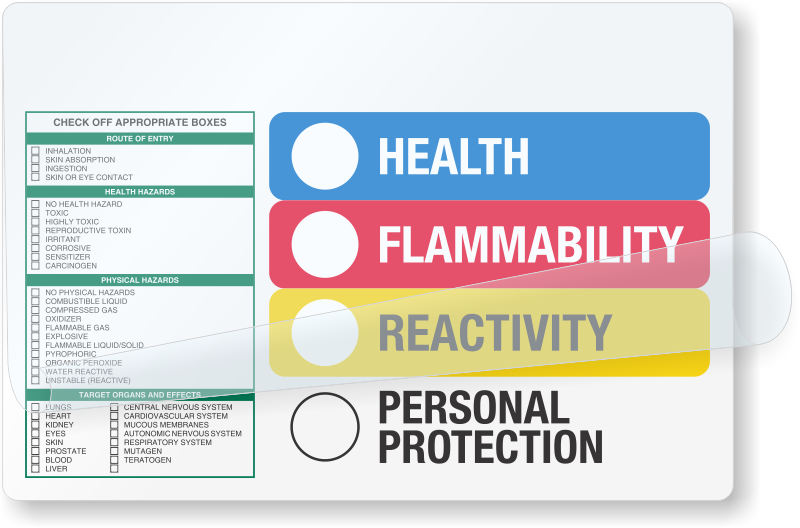 • Make sure chemicals are properly identified, so workers are always informed when handling explosives, flammables, oxidizers, radioactive materials, corrosives, and pollutants. • We also have NFR sign kits, manufactured in a variety of materials and with over 20 different designs! 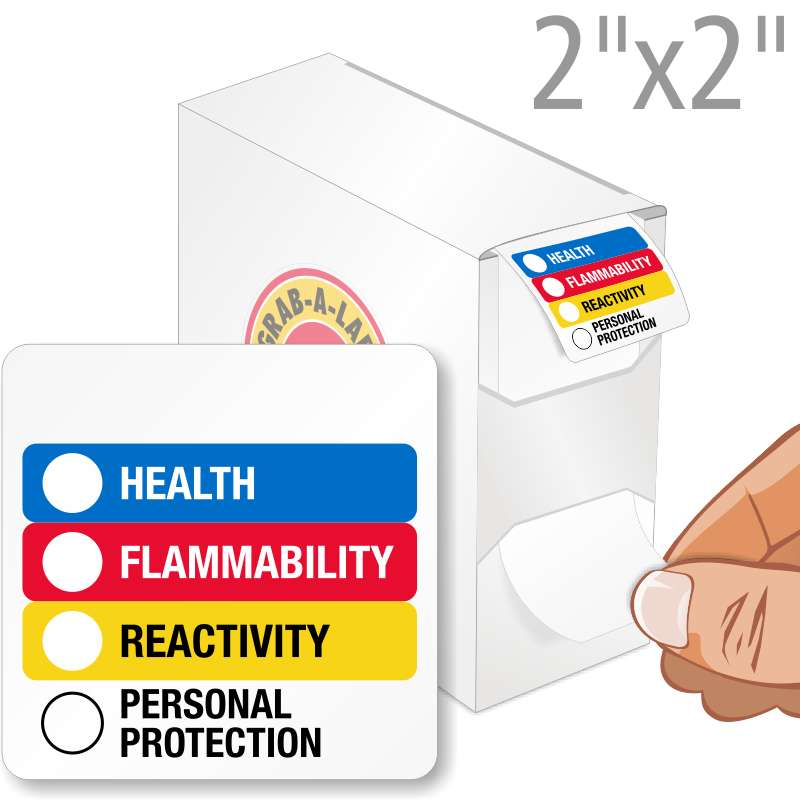 • We have many different types of HazCom Labels (Hazard Communication). Look through our selection and choose the one that works for your facility - if you don't find that exact one you're looking for, simply custom design your own label, for no added charge. It's fast, easy, and affordable. 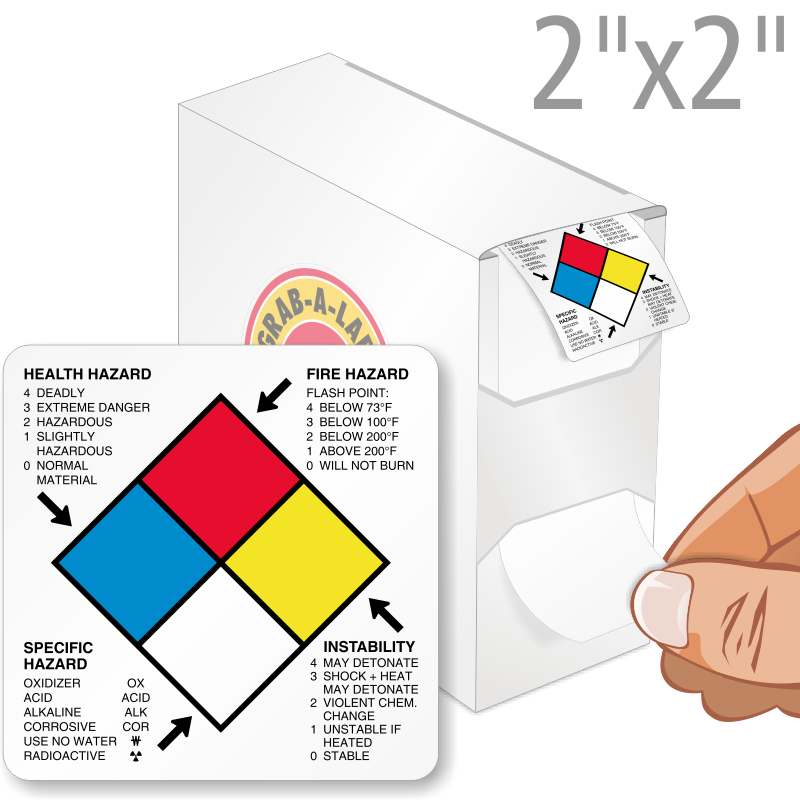 It could not be easier to design and order a sign with your specific ratings and PPE. A custom HazCom sign increases compliance and everyone’s safety.